Luca was being followed. At first he thought it was just other kids taking the alleys on their way home from school. But when he stopped to retrieve his soccer ball from under a fence, Luca looked back and saw they were no children. These figures were tall and dressed in black. Their faces were hidden by the shadow of dark hoods. They moved with synchronized steps. Luca walked faster, feeling uneasy but not yet frightened. He risked another look back. The shadow people were still coming toward him, moving together as if connected by invisible strings. And they were gaining on him. Fear pricked him, and his heart began to pound. When he rounded a corner, Luca made his move. He zig-zagged around several garbage bins and charged through someone's open garage door. He hid behind a clear plastic tarp that covered a pile of old cans of paint. Hunched on the ground with his knees drawn in to his chest, Luca's breathing was ragged. His palms were sweaty, and twice he lost his grip on his knees. 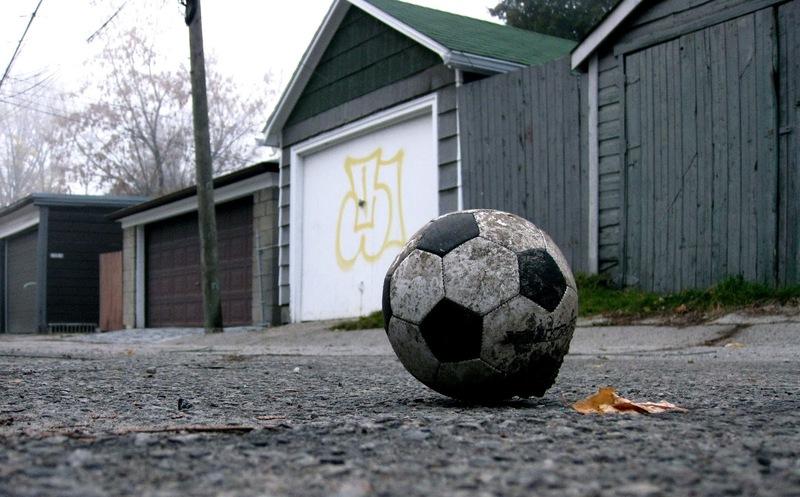 A sinking feeling came over him when he realized he'd forgotten his soccer ball outside in the alley. He thought of his mom. She'd be home from work by now, tired after her long day. He saw her standing at the stove in her stocking feet, stirring a pot. Waiting for him to come home and set the table. The shadow people silently entered the garage. Luca could see them as dark shapes through the tarp. The closest one reached out its long-fingered hand and pulled back the plastic, revealing Luca in his hiding place. Frozen, Luca watched as they removed their hoods. He saw their golden cat-like eyes and otherworldly glow. He knew then that he wouldn't be home in time for dinner. Yes, I agree. It sounds like the beginning of a wonderfully scary children's novel. Do not leave us hanging!